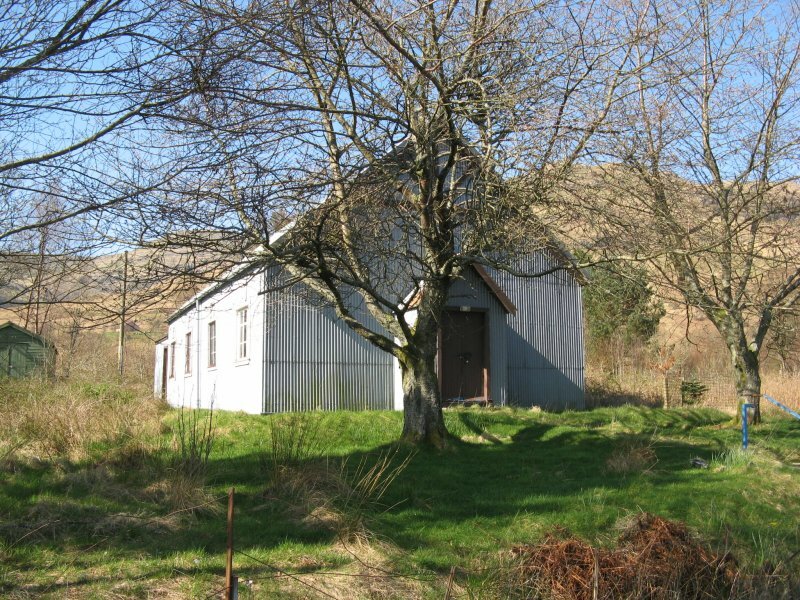 A small, rectangular plan, corrugated-iron clad building. Its exterior is a very simple example of tin building architecture. Timber-framed, clad with corrugated iron to walls and roof; the roof iron is modern replacement, but much of the wall iron is original. The larger windows are mainly metal framed; the only large timber window, on the south elevation, is a replica of the original windows. Some original glass remains to the smaller single pane timber windows. Some cast-iron rainwater goods. Carrick Castle Church was established to serve the spiritual needs of the increasing numbers of families, mainly of Glasgow merchants, that were buying or building holiday homes in Carrick in the late 1870s and early 1880s. 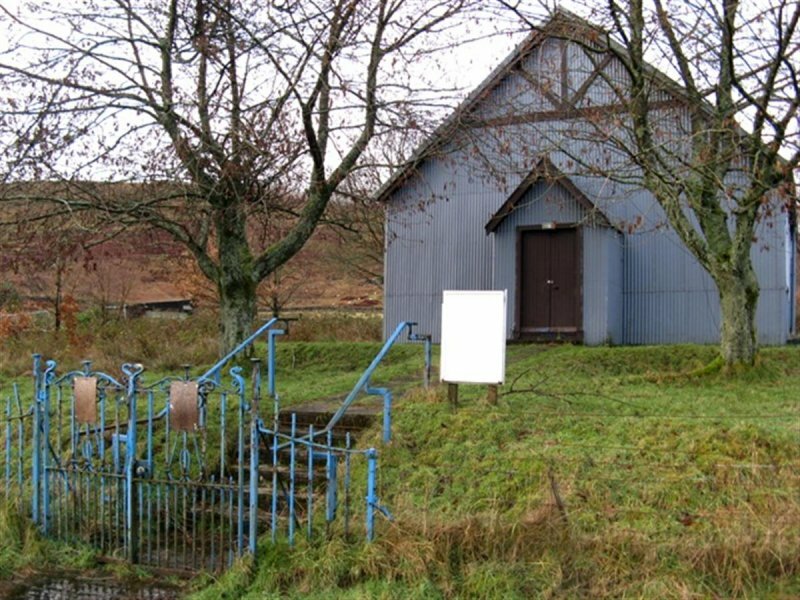 They had asked the Church of Scotland if it would build a church in Carrick, but the church demurred, saying that they were happy for the minister of Lochgoilhead to preach at Carrick, but that they would not provide a place of worship. The merchants took matters into their own hands and decided that they would finance and build the church themselves. The land on which the church stands was gifted by Charles John Cathcart of Glenfinnart. 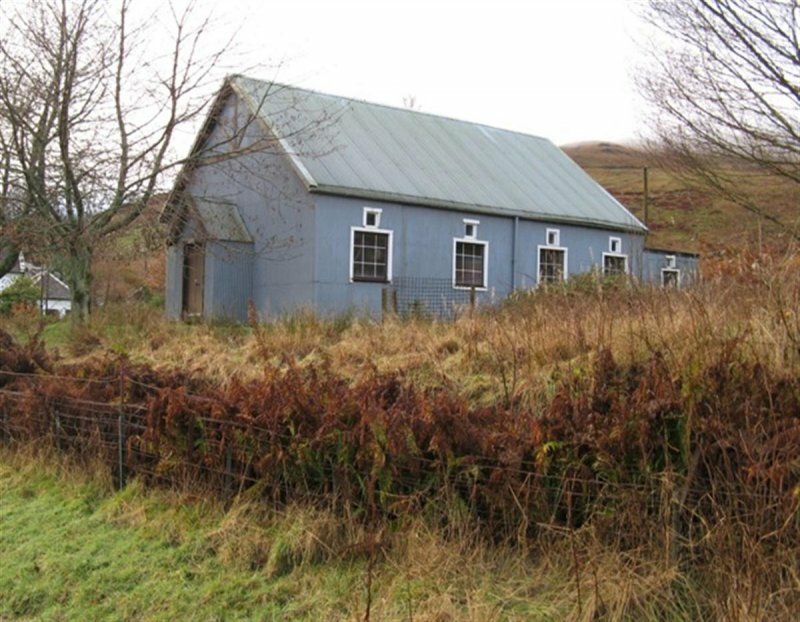 It is understood that Sears and Co of Glasgow were contracted to build the church although much of the building material including the corrugated iron, was gifted by the merchants from their own stock. (Historic Scotland). 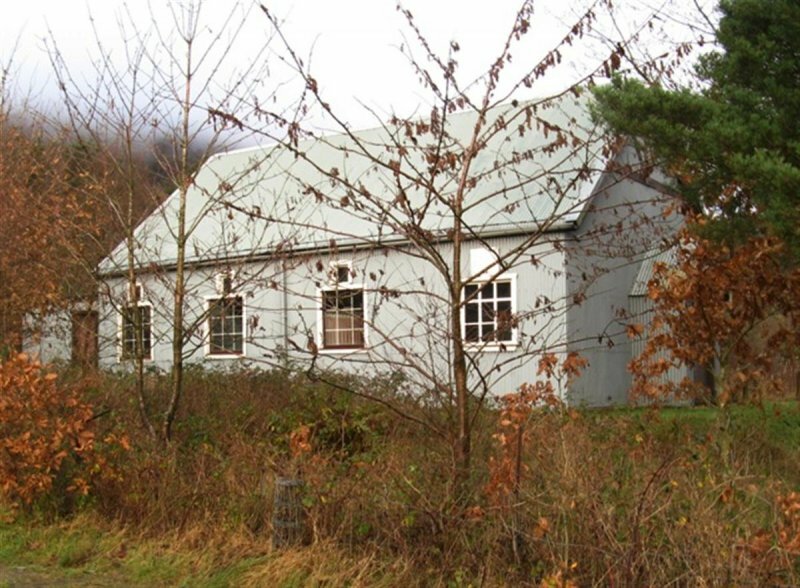 December 2008: The Dunoon Observer reports that the church has been closed. 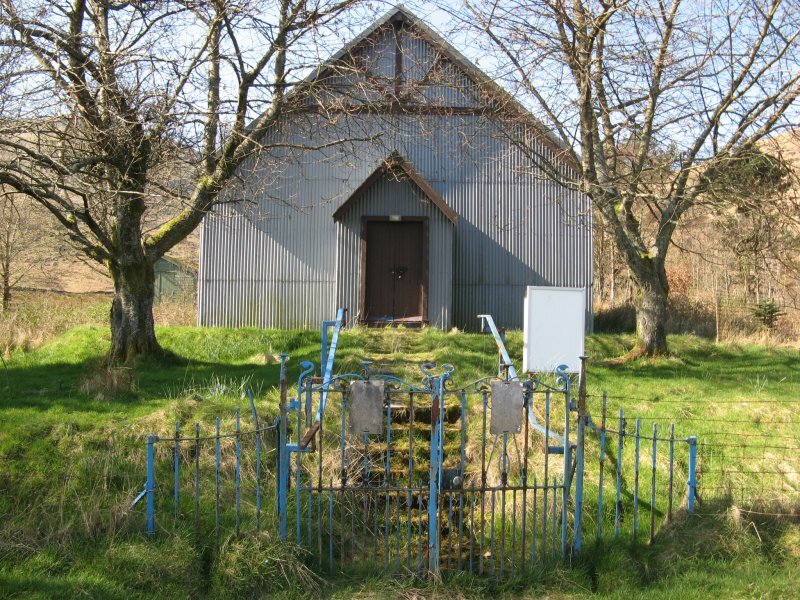 August 2009: The Dunoon Observer reports that a meeting was held to establish that the community council wish to proceed with plans to gain ownership of the church and eventually convert it for community use. November 2009: External inspection finds the church externally is generally in good condition. It is reported to suffer from significant internal structural problems. It is understood that in May 2009 the Church of Scotland authorised the sale or let of Carrick Castle Church. The Carrick Castle Amenity Association are in discussions with the Church of Scotland to secure use of the Church for the local community. 27 March 2012: External inspection finds no significant change from the previous site visit. 9 December 2016: The Church of Scotland is marketing the building for sale, offers invited. 24 November 2017: Local planners advise conditional consent for the restoration and conversion of the former church to a dweeling have been granted ref: 2017/0234/DET & 2017/0233/LBC.